Teodora Tzankova is a Research fellow at the Institute for Literature and has been a part-time Lecturer at the St Kliment Ohridski University of Sofia since 2004. She has a BA in Spanish Philology (2003), an MA from the Translator-Editor with Spanish programme (2005) and another MA in Literary Studies (2007) at the St Kliment Ohridski University of Sofia. 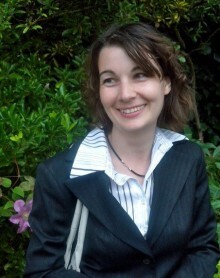 She holds a PhD from the University of Sofia for her dissertation on The Portrait in Literary Modernism (Oscar Wilde, James Joyce, and José Martínez Ruiz – Azorín). Teodora Tsankova translates fiction and non-fiction in the humanities from the Spanish language. Since 2013 she has been Chair of the Fiction Sector at the Union of Translators. Her interests are in the spheres of comparative literature and the translation of fiction.